Stringy's Running Blog: Lightning forecast in 27 days. Lightning forecast in 27 days. 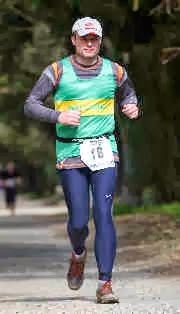 Only 27 days left before I embark on my second Ultramarathon which will hopefully encompass my second ever marathon. I've got back into regular running over the past 3 weeks with Wallsend Harriers. I'm not exactly running 24/7 in fact it's only twice a week but I'm back enjoying my running again. Physically i'm not ready for the Lightning but I'm mentally ready to go! 1 - Over 40 miles. As the route is technical and all off-road, my plan is to walk up the hills and run downhill and the flat. I'm not going to give up; I'm ready to keep moving for 12 hours. I'd be over the mood to average 4 miles as hour but who knows. As long as i keep on moving I'll be happy.